The FBI has reportedly found evidence that foreign hackers breached two state election databases in recent weeks. An FBI alert warning election officials about the breach was leaked, and it was posted in a report by Yahoo News on Monday. Voter registration databases from both Illinois and Arizona were targeted in the hacks, according to the report. In the Illinois case, personal data on 200,000 voters was stolen. In July, an official with the state’s board of elections warned on Facebook that the voting system had fallen to a cyberattack, forcing a shutdown. "We have found no evidence that they added, changed, or deleted any information in the (Illinois Voter Registration System) database," the posting said. "Their efforts to obtain voter signature images and voter history were unsuccessful." The FBI declined to comment on the matter, but it’s already investigating a high-profile data breach against the Democratic National Committee, which some experts have blamed on Russian state-sponsored hackers. The hack of the DNC, and other recent breaches against government groups, has generated fears that foreign hackers are trying to interfere with this year’s U.S. presidential election. However, it’s unclear if the hacking of the state election databases is linked with Russia or any of the other recent breaches. According to the FBI’s alert, “an unknown actor” attacked a state election database by using widely available penetrating testing tools, including Acunetix, SQLMap, and DirBuster. The hackers then found an SQL injection vulnerability -- a common attack point in websites -- and exploited it to steal the data. 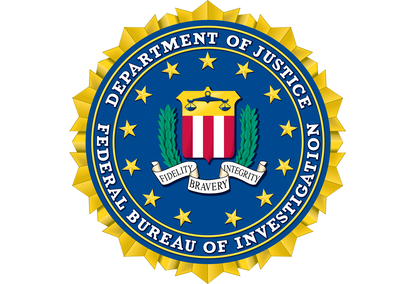 The FBI has traced the attacks to eight IP addresses, which appear to be hosted from companies based in Bulgaria, the Netherlands, and Russia. The FBI’s alert asks that states check with their election boards to report any similar activity. Both the Arizona and Illinois state boards of elections didn’t immediately respond for comment.